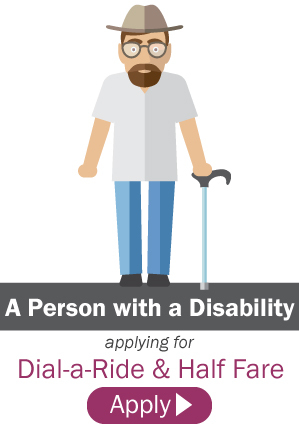 Dial-A-Ride is a door-to-door transportation service for seniors age 65 or older and persons of any age with a mobility disability. Dial-A-Ride service is available in Danbury, Bethel, Brookfield, New Fairfield, Newtown and Ridgefield. Service polices and availability varies by town. Intertown trip policies vary by municipality. 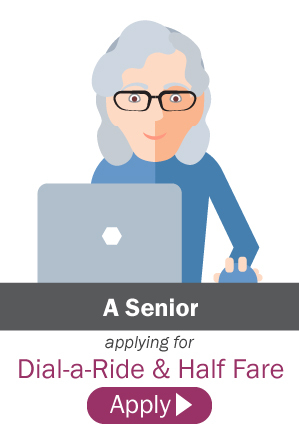 Riders must apply to be eligible for the service. Applicants are eligible for both Dial-a-Ride and Half-Fare on CityBus.